Many Medford home owners fret at the thought of any type of home repair, especially one as detailed and important as a roof repair. If you are a new home owner or simply haven’t been troubled by roofing problems in the past, it can be especially worrisome and scary. 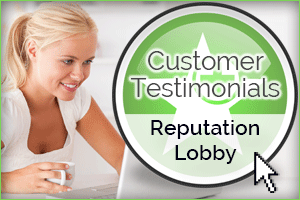 At Hadley Roofing of southern Oregon, we understand the stress that comes from possible roof repair and replacement and we take that into consideration when talking with any home owners in the area. However difficult it may be, it is important to have your roof inspected sooner than later before the problem because much worse and creates damage that may not be repairable. Acting quickly is essential, as there may be far more water or debris lurking under your roof than you are aware of, especially in the crawlspaces or attic. Unwanted water that has leaked in from your roof can cause many unsafe issues and broken roofing materials can even invite unwelcome pests such as rodents and insects into your home and around your family. 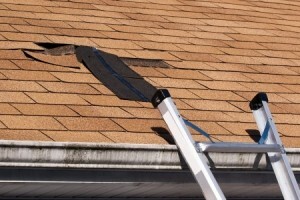 Luckily, there are usually many signs that your roof may need some repair. Hadley Roofing is ready to send one of our qualified and friendly technicians to inspect your roof and determine what the extent of the damage is and what will be the best method of repair. There are several ways to repair a roof, either temporarily or permanently and we will be sure to help you find one that fits in your budget but that will also keep your family safe and dry. One way to avoid roofing repairs altogether is to make sure you are having your roof, gutters, skylights and chimneys inspected on a regular basis to catch problems early on. Just as other parts of your home need yearly inspections to keep them working properly, your roof is no different. In fact, if your roof has a warranty, you are required to have it inspected regularly in order to keep the warranty valid. If your roof does not have a warranty, then you can use an inspection as your peace of mind warranty! Hadley Roofing of Medford will do a complete inspection and determine if any minor repairs need to be made that will save you money, time and stress. Roofs that are regularly maintained last for more years, are more cost effective for your utility bills and continue looking newer longer. Once the experienced technicians have inspected your roof, we can recommend how often yours should be examined, as this varies depending upon the type of material and how old your roof is. Proper maintenance and upkeep of your roof is essential to a long lasting roof for your biggest investment, your home, and Hadley Roofing of Medford will be there for all your roofing needs.